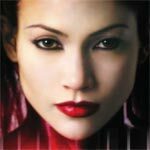 Jennifer Lopez: Dance Again isn’t a great music-documentary or anything but for something indifferent towards the artist/actress, I found it completely watchable and I suspect any fans will get something out of it; others probably not. The Cell might look nice with amazing visuals by director Tarsem Singh and the production design team and conceptually it is an intriguing idea, but man its hard not to realize how dumb the movie is while watching. I suppose if viewing for the first time one might get lost in the effects and style, but drilling down, the substance is lacking to go along with one-dimensional characters (though Lopez for her part wasn’t terrible). I guess Money Train has that so bad its good aspect going for it, especially in regards to Robert Blake’s inane performance but otherwise it’s just another forgettable action piece of the 1990s. In comparison with other buddy comedies, it also falls way short as I didn’t feel the comradery between Snipes and Harrelson and the story never quite gels either as it wasn’t what it was.